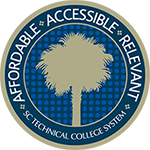 Eligible businesses can receive a South Carolina tax credit of $1,000 for each registered apprentice employed for at least seven months during each year of an apprentice's program, for up to four years of such a program. Some costs associated with registered apprenticeships, including instruction, training and wages, may be covered for apprentices meeting local Workforce Investment Area (WIA) eligibility requirements. Lottery Tuition Assistance (LTA) may be available for eligible apprentices enrolled in a degree, diploma or certificate program at a technical college. On the United States Department of Labor's Employment and Training Administration website you can find competency models, post job opportunities, find data and statistics, and find a list of apprenticecable occupations. Manufacturing companies located in South Carolina may have the opportunity to utilize the Job Retraining Tax Credit (E-Zone) program in order to be reimbursed for certain training and education provided to employees.